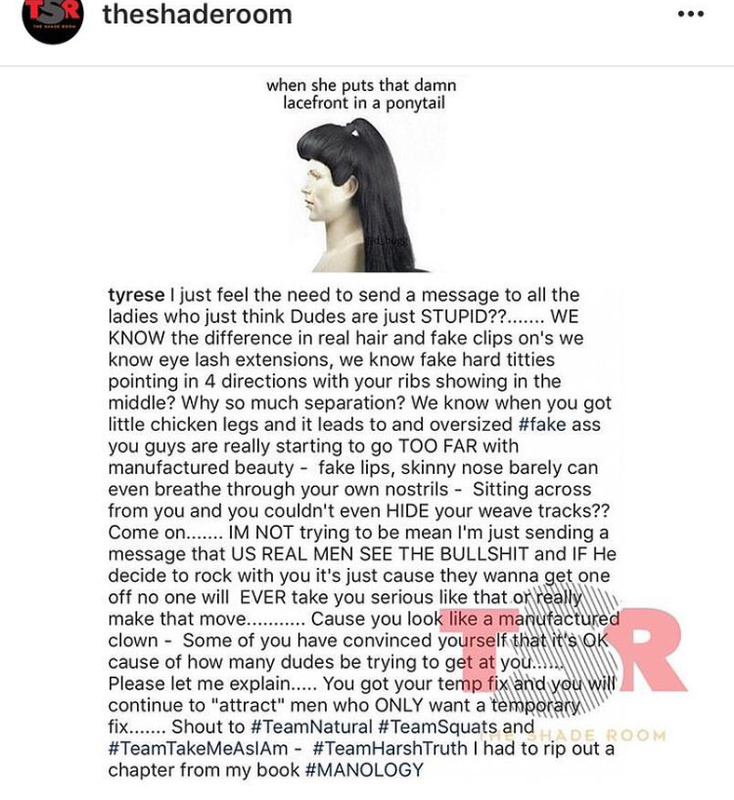 By now, we’ve all heard of the Tyrese shenanigans he laid on us last week. If not, see below. That was just, uh, mean. What?! This is the same guy who stole our hearts with “Sweet Lady” and other love ballads, but lately (last few years) he’s been losing his touch. I just can’t fathom how men can tell women how to be women, but hey.. This was EVERYTHING! I wholeheartedly agree. Now I’m not going to play the blame game, but like she said, SOME women do these things to please what’s “in” and what a man will find appealing. Yes, our taste in what we want in our significant other changes, but this much? You know I always have a dating story.. So, I was dating this guy a couple of months ago. He was cool. Nice conservation. When we first met, he said that he liked it better when women didn’t wear makeup. He went on about how he liked natural women and how he loved and appreciated women who wore their natural hair. Specifically shouting out my twist out that I was rocking at the time. That was cool with me because I choose not to. I may put on some lip color I found at MAC and loved, but that’s on occasion. Obviously, that was the last time I saw him. I spent too many years when I was younger having low self-esteem, I’m not about to let some random try to change me. Thanks, but no thanks. 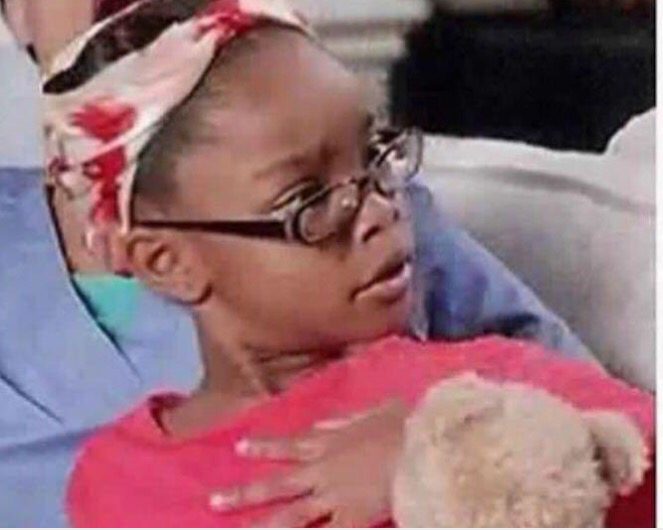 Him: I have so much respect for ya’ll who do that. The natural thing.